Jack and Leslie Warden, at the gate that now blocks their old street in Herculaneum. The Doe Run smelter opened in 1892. Herculaneum, Mo., a small town on the bluffs above the Mississippi River, was always a company town. The company, Doe Run, is the largest lead producer in North America, trucking in lead from Missouri's rich mines to a 120-year-old smelter on the river. 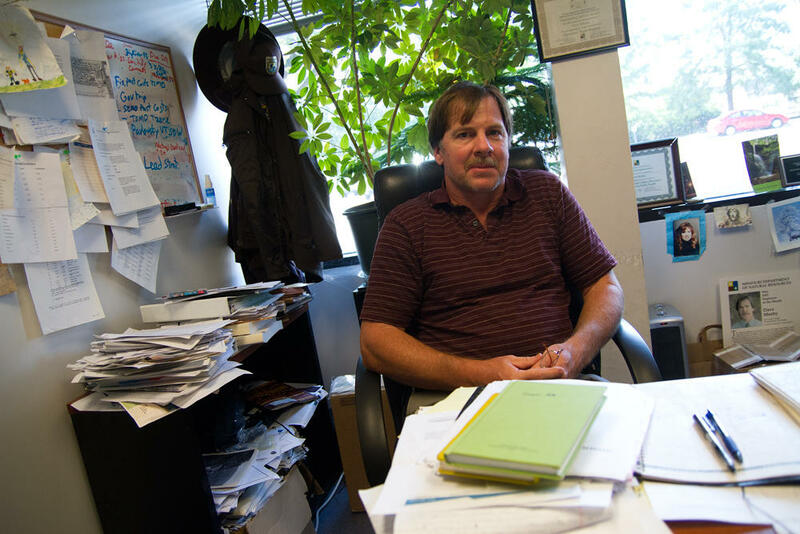 For 25 years, the smelter didn't meet federal air standards for lead, and now, after decades of battling government regulators and angry parents, Doe Run is leaving town at the end of next year. The battles over contamination turned this town on its head, pitting neighbor against neighbor, uprooting and bulldozing the center of town. It all culminated in a storm of lawsuits: one of them -- against the Environmental Protection Agency -- forced the federal government to revise the national air pollution standard for lead, tightening it by a factor of ten. Now, unable to meet the tough new standard, Doe Run is finally closing the plant: the last primary lead smelter in the United States will be dismantled at the end of next year. In June, Doe Run made it final – the company won't be rebuilding in Herculaneum with a new cleaner plant, as they had earlier planned on. That would be "an unacceptable financial risk." "Personally it was like a kick in the stomach," says city administrator Jim Kasten. Without Doe Run, the schools will be short $500,000 in revenue, and the water and sewer district will lose one quarter of its budget.Kasten. Without Doe Run, the schools will be short $500,000 in revenue, and the water and sewer district will lose one quarter of its budget. "The biggest concern and the biggest bummer for this whole thing for me is the 270-something people that work there, and their jobs and their families and how that's going to affect them and how that ripple effect comes down." "I just wanted to be able to say, 'Ha! You didn't win. We got 'em, they're still here.' But I guess they did win." This is the story of a decade-long battle between angry parents, government regulators, environmentalists and the largest lead producer in North America. It beings on an August night in 2001. Jack and Leslie Warden lived about two blocks from the smelter. They're driving me around the old neighborhood. "All the trucks traveled this road," Jack Warden says. "And the dust was on the sides of the streets here. Both sides." This is where they raised their son – but in the late 1990s they started wondering how safe it was. For one thing, there was this thick dust on the streets where the trucks drove in from the lead mines. Dave Mosby worked for the Missouri Department of Natural Resources. "Jack Warden had been telling me about lead dust, or dust coming from trucks on the roads, and that wasn't something we'd really considered." After a community meeting in Herculaneum one night, Warden convinced him to take a look at the dust on the streets outside. "We went out with him late at night, and I could see, even by the street lamp, that it was likely to be contaminated with heavy metals," Mosby says. "It had a metallic luster." Back at their new home a few miles south of Herculaneum, Warden unscrews a small glass jar. 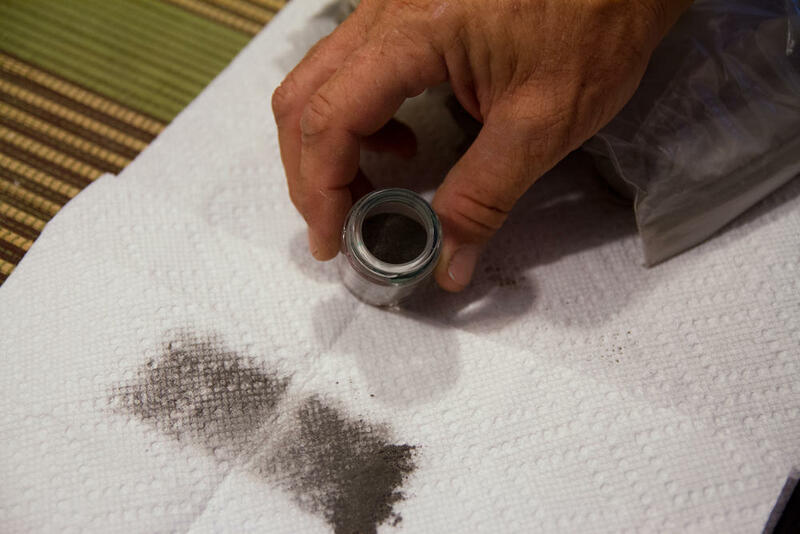 "This is what the contamination on the streets was," he says, spilling a bit on the kitchen table. "I don't like getting it anywhere on the house." It looks kind of like pencil dust, like after you sharpen a pencil. "This was all over. It covered the side-walking areas. Kids would ride their bicycle down the street and they'd see that dust, they'd lock the brakes up, slide the back tire around on the bicycle, dust would just go flying. And that's what they were breathing – 30 percent lead." The Department of Natural Resources test came back: the dust from the streets in Herculaneum contained 300,000 parts per million lead. That's 30 percent. "We begged and begged and begged, and Jack strong-armed poor Dave Mosby into doing that test. But when the test came out, were we happy about it? We cried. We cried – 30 percent lead our kids were playing in. It wasn't good news." But it did lead to action. The Department of Natural Resources issued a cease and desist order. And soon federal health officials got involved. "We tested all the kids that lived in that first quarter-mile, half-mile, three-fourths mile, mile," explains Denise Jordan-Izaguirre with the Agency for Toxic Substances and Disease Registry, part of the Centers for Disease Control and Prevention. In 2001, the agency worked with state and local health officials to try to test every kid under six for lead in their blood. The results, she says, weren't exactly surprising. "I think we were all appalled – not surprised – appalled. That it was this bad." They laid out the results like a bulls-eye, concentric circles of contamination radiating out from the Doe Run smelter. Within a quarter mile, 56 percent of kids had high levels of lead in their blood. At a half-mile, it was 52 percent. Jordan-Izaguirre says she’d never seen numbers like that, except in the developing world. "But it was tragic to see in the United States. On a company that was under EPA and MDNR," she said, referring the the Missouri Department of Natural Resources. Another study found a cluster of people with ALS, or Lou Gehrig's disease, a fatal neurological disorder. There were three cases within a 3-mile radius of the smelter. Triple the expected rate. But Jordan-Izaguirre says it was too small of a sample to really provide any answers. "Yes, it appeared that there were an elevated number of ALS," he says, "but I couldn’t do anything for those people we talked to who had it. And I couldn’t say a lot to the family, except sorta kinda share in their grieving." Kenny Loveless worked 18 years at Doe Run. He was a maintenance man in the center plant. "The center plant was -- I always was told -- it was the dirtiest place in the plant," says his wife, Donna Loveless. 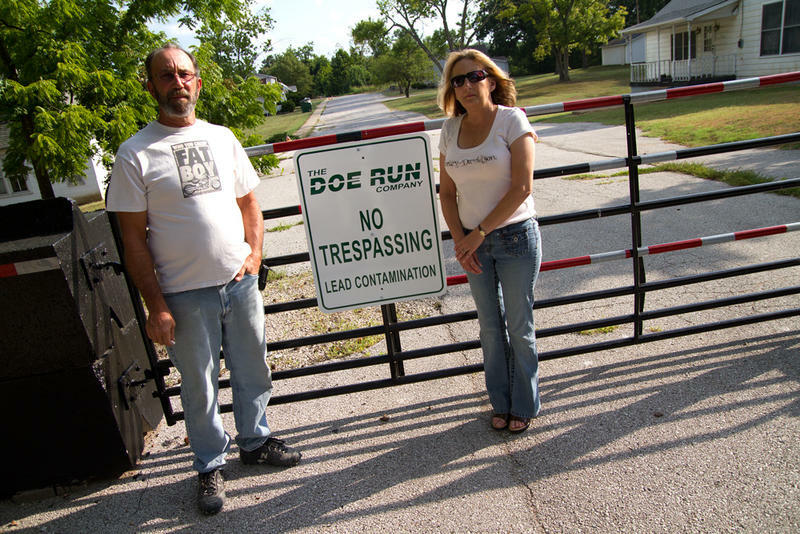 In 1988, Doe Run was fined for 177 health violations at the plant – accused of breaking "virtually every section" of the workplace lead standard. That was about the same time Kenny Loveless started getting these strange symptoms. Weakness in his limbs, falling. "He was working a lot of overtime and we just kind of chalked it up to him being tired and overworked," Donna Loveless explains. 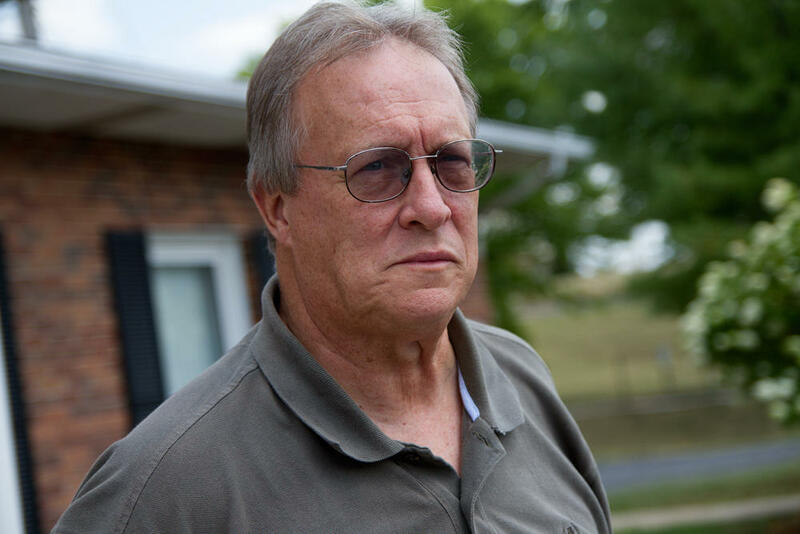 A neurologist told them he had lead poisoning, but his symptoms kept getting worse. Finally, around 1993, Loveless was diagnosed with Lou Gehrig's disease. He passed away seven years later, at age 35. "I truly believe that the lead poisoning is what caused his illness," Donna Loveless says. "I feel that if he had not been working there he would still be here." Lawrence Casey worked at Doe Run for 37 years, starting in 1955. "Deep down, you know that the lead didn’t help your health none," he says. But he's an old timer here. His father and grandfather worked at the plant. His family has been in Herculaneum since the smelter opened in the early 1890s. "About three generations of us that moved here and lived here and worked here," he says. 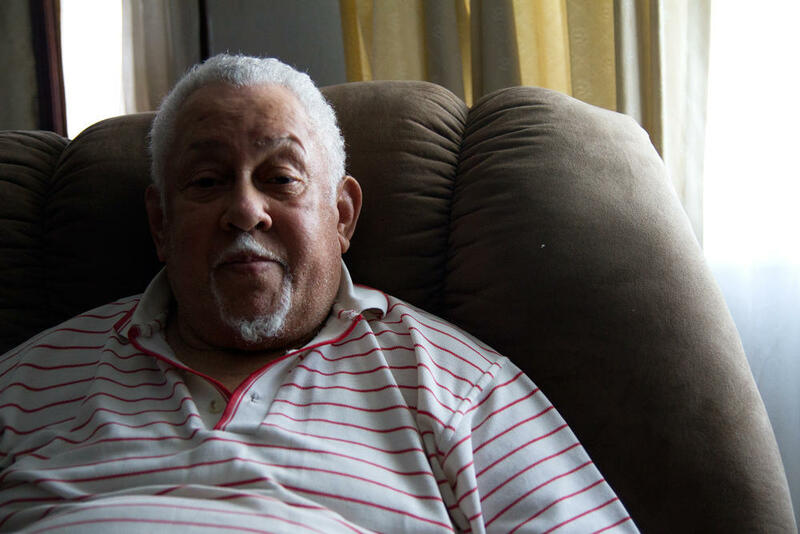 Lawrence Casey worked at the lead plant for 37 years, starting in 1955. Now, Casey is one of the last holdouts here in the center of town. In 2002, Doe Run and state and federal regulators decided it was easier to get rid of the people than the pollution: the company agreed to buy out the 160 homes closest to the smelter. "The prices they offered was not comparable to prices around the Herculaneum area," Casey says. "Therefore, you couldn't buy nothing for what they was offering." But most people did sell -- the houses were bulldozed, and today the old neighborhood looks like a fenced-off park, with little signs reading: "Doe Run: No Trespassing, Lead contamination." The buyout wasn't the end of the story. Around that same time in 2002, Doe Run met the Clean Air Act lead standard for the first time ever, since it was set in 1978. "Doe Run had lowered their production, they had done the yard remediation," Leslie Warden says. "They were sweeping the streets. They were washing the trucks. They were going through all this dog and pony show." But despite all this, and even though the air was meeting federal standards, it was still recontaminating people's yards with lead. Warden took the question to Maxine Lipeles, at Washington University's Interdisciplinary Environmental Clinic. "If they're meeting the air standard, and we're seeing this kind of recontamination, is there a problem with the air standard?" says Lipeles. "And we determined that that was a superb question." By law, EPA is required to review the national ambient air quality standard for lead every five years to make sure it matches up with current science on public health. But Lipeles discovered the agency had never completed a full review. She filed a lawsuit against the EPA in 2004. Four years later, the agency released a new national lead standard. It was ten times more restrictive than the old one, dropping from 1.5 micrograms lead per cubic meter, to 0.15 micrograms. 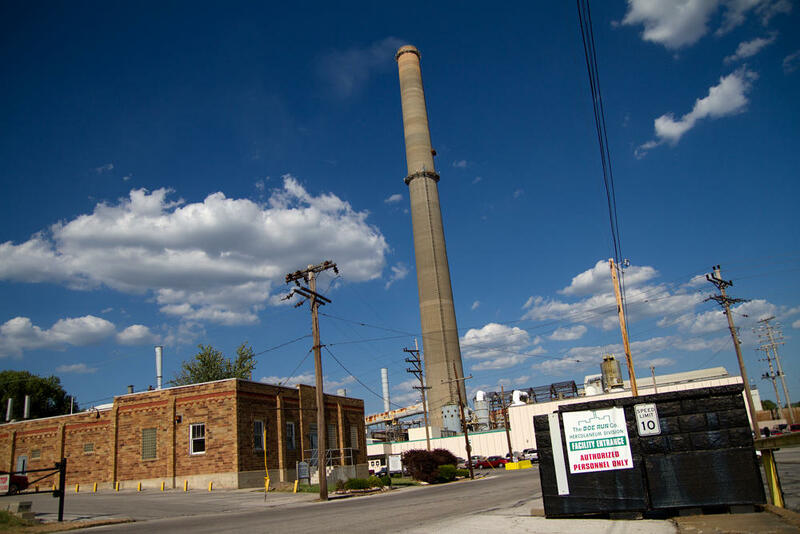 Doe Run agreed to close the smelter, rather than try to meet the new standard. "It was a business decision on Doe Run's part to shut down the smelter in December of 2013," explains Dana Skelley with the EPA. So why did all this take 30-something years? Kathleen Logan-Smith, with the Missouri Coalition for the Environment, says environmental laws don't work how most people think. "Most people assume that pollution standards are like speed limits," she says. "It's 65, you're over 65, you’re breaking the law, you get a ticket or some kind of penalty. But environmental standards don’t actually work that way." "It's not like you have to meet this number or you get hit by this regulatory hammer," says Dave Mosby, who worked for the Missouri Department of Natural Resources. It's DNR's job to work with polluters to design a plan to meet national air standards. So Doe Run kept making these plans, and then taking all the steps the plans required, but still managing to exceed national air quality limits. "They met what they said they would do, but it just didn't work. The way it's written is you have to do these things that should get you into compliance. But if they're wrong, then there wasn't an additional stick that you could force them to meet that number, other than to renegotiate. So there was just a series of these things because they could never meet it." Herculaneum after Doe Run is still a big question mark. "Supply and demand. Do we have someone ready to sign the dotted line right now?" says St. Louis-based developer Stacy Hastie. His group wants to buy the old smelter site by the river. Over the next few years, they plan to clean up the lead and build a port and commerce park. "We already have identified two to four end users for the port, which is outstanding at this time. And we're being told, 'Build it, when we see it, there will be a lot more to come after that.'" In the meantime, the Herculaneum is already changing and growing. Houses here are cheap, and St. Louis is just a 30 mile commute north. Mike Watson moved to town a few years ago. "Fairly good value, cheaper homes down here. So that's why we came down here." Tonight he's at a Cub Scout meet with his sons, a nine-year old and a year-and-a-half-year-old. The Cub Scouts are meeting in a grassy park about a half-mile from the smelter, the smokestack poking above the trees. 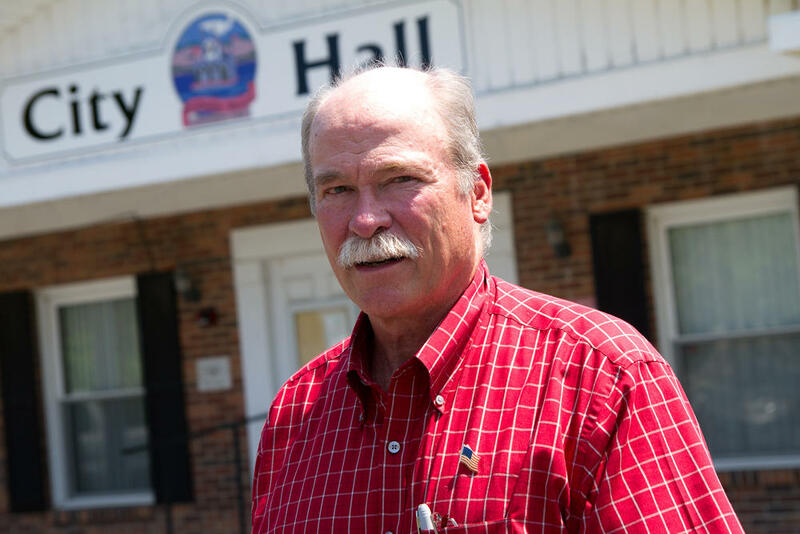 But Watson moved here after the all fighting with the EPA, DNR and Doe Run. He says he's not worried about lead exposure. "No. I mean, I really haven't seen -- I mean obviously you don’t see lead or anything like that, but I don't really feel that it's as big of a problem as people make it out to be." As old timers move away, and newcomers move in, the town is growing out toward the freeway, lined with car dealerships, gas stations, fast food restaurants. The center of gravity is shifting away from the river and the smelter's towering smokestack. "It's something that you didn't think would ever be gone. And now you kinda want to see it gone. I want to see what it looks like. The river sitting out there, what this looks like without the smokestack sticking up." As the town struggles to replace lost jobs and revenue, at least people will be breathing better: closing the smelter will mean 30 tons of lead and more than 100,000 tons of carbon dioxide that won't be in the air each year.